Mammoth Mountain Ski Area is 1 mile from this aparthotel and a free area shuttle is provided. Guests can enjoy an indoor and outdoor hot tub. Spacious apartments offer a fireplace and full kitchen. Cable TV with A DVD player is available in each unit at the Hidden Valley by Mammoth Reservation Bureau. A private balcony with mountain views is also featured. A seasonal pool and barbecue facilities are offered for guests at the Mammoth Reservation Bureau Hidden Valley. Laundry facilities are on site and an airport shuttle is available. 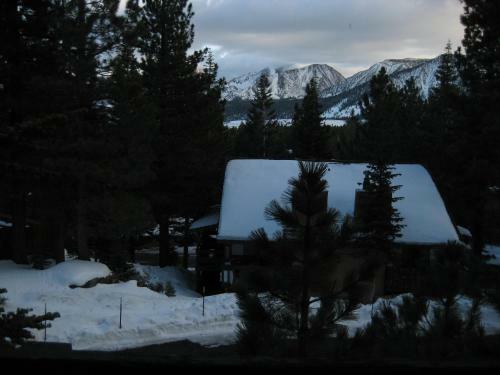 Located near Mammoth village, Tamarack Cross Country Ski Center is just 2.5 miles away. Canyon Lodge is less than 5 minutes’ drive from the property.